Set in rural England in the early 1800s, Pride and Prejudice is a novel of the Bennett family’s story. The family includes a negligent father, a silly empty-headed mother, and five daughters: the eldest Jane, Elizabeth (also called Lizze and sometimes, Eliza), Mary, Kitty, and the youngest, 15-year-old Lydia. With no male heir in the Bennett Family, the daughters must marry in order to secure their welfare. So for obvious reasons, Mrs. Bennet is obsessed with marrying her daughters off before Mr. Bennett’s death. Pride and Prejudice, written by Jane Austen, centers on the second eldest daughter, Elizabeth and her irregular fairytale with handsome but proud Mr. Darcy. 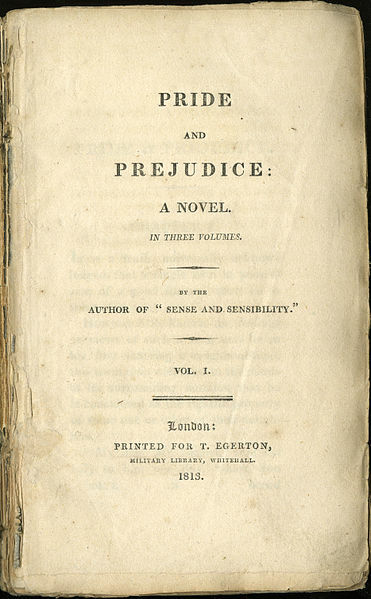 Pride and Prejudice has sold over 20 million copies to date. The key to its international success has been the heroine—Elizabeth. As is usually the case with Jane Austen’s main characters, Lizze is intelligent, independent and fiercely strong-willed; uncharacteristic of women of 19th century England. Elizabeth is all at once smart, funny, passionate, sensible, irreverent, and feisty, embodying virtues that appeal to both genders. The sheer brilliance of this story has been adapted many times for TV and movies (for instance, the famous 2005 Pride and Prejudice film with stars Keira Knightley and Matthew Macfadyen), and has oddly been adaptable to different cultures and diverse performance genres. There has been a Bollywood version, a Galilee-based Israeli TV mini-series, a Japanese comedy version, a Mormon-university update, and even the Broadway musical version, First Impressions. Born in 1775, Jane Austen is one of the great novelists of her time with the successful classics Sense and Sensibility (1811), Pride and Prejudice (1813), Mansfield Park (1814) and Emma (1815) all under her name. 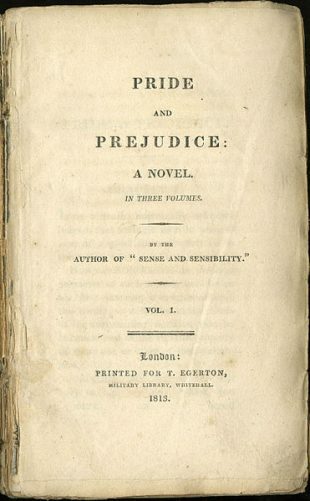 Through her novels, Austen is known to have exhibited the female condition of the 19th century, when women’s financial well-being was dependent on marriage.